Protesters are now in front of the Manitowoc County Courthouse to show support for convicted murderers Steven Avery and Brendan Dassey. The two were sentenced to life in prison for the 2005 killing of Teresa Halbach. 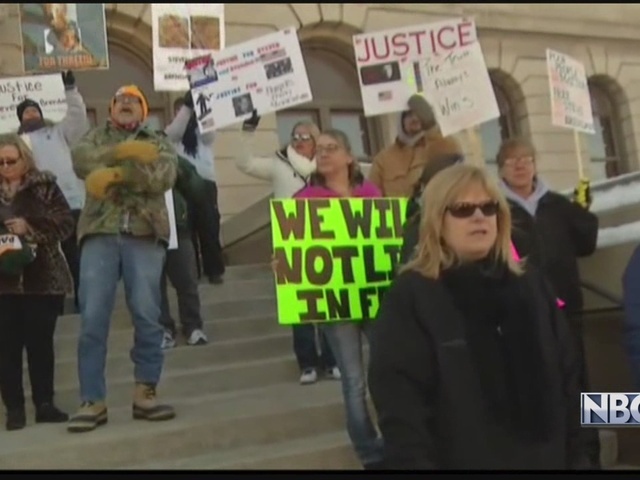 The demonstration comes after the Netflix release of the Making a Murderer documentary late last year. It's a sight members of the Avery family say they're glad to see. "Brendan and Steven need this, they've gone so long without it," said Steven Avery's cousin, Kim Ducat. Kim Ducat and Carla Chase say the national support has been overwhelming, but they're glad it's happening. "We're thankful that the story is finally out, the stuff that was shoved out of court," said Brendan Dassey's cousin, Carla Chase. The protest consisting of two sides to an argument. One side supports Steven Avery and Brendan Dassey, calling for a new trial and claiming their innocence. 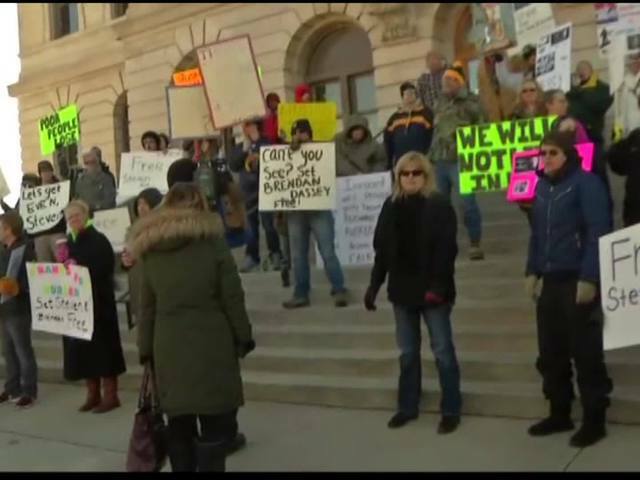 "Show them that we're out here fighting for them and that their injustice won't go unnoticed," said Steven Avery project and protest organizer, Curtis Busse. Others say the protesters don't have all the facts. "I just think it's horrific what happened to that woman and I would hate to see the guy who did it breathing free air again," said Steve Fredrickson of Kenosha. "If you look at the whole list of evidence, read the confession, there's no way he didn't commit the crime," added Jeff Hallada of Manitowoc. Roughly 80 people showed up at the courthouse to protest Friday. Most of them were in favor of a new trial. Police said there were no problems and the protests remained peaceful, although the numbers drastically dropped after just a couple hours in the cold.